Rovsing has provided on-site engineering support for Airbus Defence and Space during the assembly-integration–test/verification (AIT/AIV) campaign of the very first flight model of European Service Module (ESM) up until its shipment to the USA in November. The ESM was shipped on-board an Antonov An-124 together with Rovsing’s Solar Array Wing Front End Equipment (SAW FEE). SAW FEE is an integral ground support equipment for the Orion-ESM project, it emulates the solar array wings that will power the spacecraft in space. SAW FEE will have a vital role in the upcoming AIT activities, when the Orion multi-purpose crew vehicle (MPCV) will be integrated with the ESM, and the final check-out of the spacecraft, until the very launch of the spacecraft in the Exploration Mission 1. 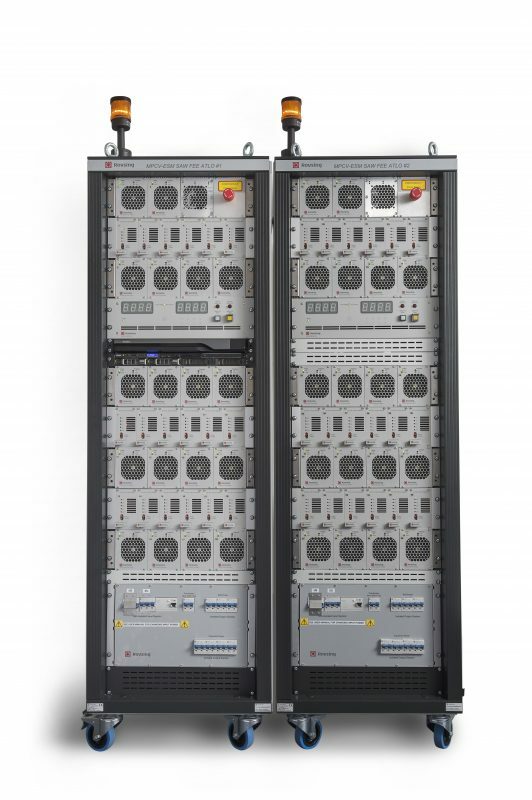 Each SAW FEE EGSE system consists of two racks filled with Rovsing-built RO-5100 Solar Array Simulators (SAS), RO-1010 Second Level Protection (SLP) modules, and RO-2300 Solar Array Platforms. Rovsing has delivered a total of 3 systems of SAW FEE to Airbus Defence and Space facilities in Europe and the USA. 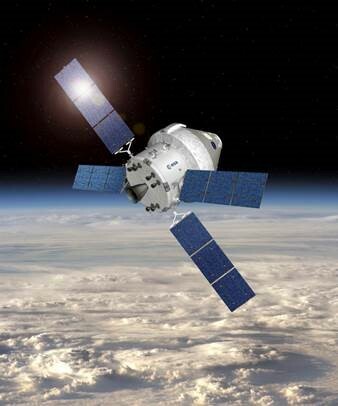 Orion is NASA’s newest generation of spacecraft, that will allow to take next step in human space exploration. It is designed to send astronauts further into space than ever before, beyond the Moon, to Mars and even to asteroids. The European Service Module (ESM) is Europe’s contribution to the Orion spacecraft. It provides propulsion, power, water, oxygen and nitrogen as well as keeping the spacecraft at the right temperature and on course.